Michael Frediani, Director of Auditing & Inspection for the American Society of Mechanical Engineers (ASME). He manages ASME’s 87 person global auditing force, which includes their qualification, training, and scheduling of over 1,700 surveys and audits annually for ASME’s five Conformity Assessment product programs and two Accreditation programs. Michael has 15 years’ experience as an engineer and inspector for nuclear and non-nuclear power generation. 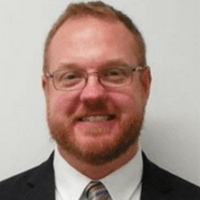 He served six years as a nuclear reactor operator in the US Navy and six years as an in-service inspector conducting and documenting risk evaluations, inspections, surveys, and claims’ investigations on a wide range of power generation and manufacturing facilities for the insurance industry. Michael received a BS in Nuclear Engineering Technologies and a Master’s in Business Administration concentrating in Global Business. He joined the ASME team in November 2016.